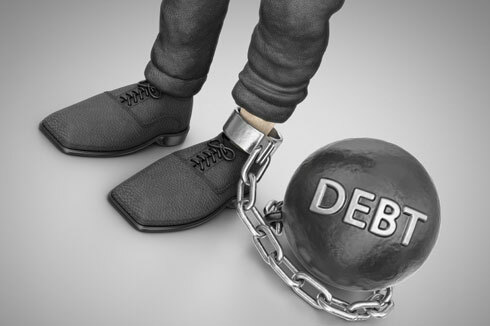 The issue of debt, and more specifically personal debt, has been a consistent focus here in Financial Regulation Matters, with the most recent post reporting on the fears that the personal debt crisis was set to deepen. Whilst we know that this crisis, and the ‘age of austerity’ go hand in hand, there are, of course, a number of competing elements that are fuelling the current debt crisis. In today’s post, the focus will be on the latest fears regarding the crisis, but also on calls by an influential Labour MP who is calling now for the credit card companies to come under increased scrutiny after successfully campaigning against payday lenders like Wonga. Rather than general debt figures being the focus this week in the media, the focus instead focuses upon credit card debt specifically. This is on the back of official figures that note that, over the last few months, the rate of credit card debt has risen to a 12-year high. The reported rise was over 8% for the last year, with it also being recognised that in February alone there were 220 million credit card transactions conducted which represents a rise of 3.3%. Of course these figures need to be contextualised, with it being important to state that many utilise credit card facilities as a way of effectively budgeting. However, whilst personal debt from sources such as personal loans i.e. payday and short-term loan facilities, have actually decreased (as a result of recent campaigns one can confidently suggest), fears are continuing to mount in relation to credit card debt; the FCA is concerned on the basis that there are expected interest rate hikes in the offing, which has played a role (to a small extent) in the FCA proposing now regulations for credit lenders. By September, credit card companies must have implemented a specific suite of internal rules to comply with the FCA’s demands, namely that the companies must seek to intervene in cases where people represent being in 18 months’ worth of ‘persistent debt’ (defined as having paid more in interest than principal over an 18-month period); to alleviate these issues, the rules require the companies to provide prompts at certain intervals, more in-depth guidance after three years, and even waive certain components of the debt in the longer-term. Furthermore, the companies will allow customers to opt-out of unsolicited credit limit extensions (with those in debt for more than 12 months being excluded from receiving credit limit extensions), whilst they will be forced to cancel the continuing credit facility of customers who have not paid enough back in continuance of the 18-month period. However, it was reported today that Stella Creasy MP, the person promoted as being responsible for the enforced capping of fees and interest rates by payday lenders, is ‘calling for a cap on fees and interest charges’ with respect to ‘high-cost credit cards’. The campaign, which is receiving support from a number of sectors, is aiming to block lenders from charging customers ‘more than the same amount they have borrowed in interest and fees’. Yet, whilst Creasy’s target is companies like Vanquis, who target customers who struggle to receive credit elsewhere, The Guardian noted that ‘the FCA has already ruled out taking such steps after a review of the market last year’. The FCA’s reasoning is based on the notion that customers need the ‘flexibility’ that comes with an open market, in conjunction with the supposed safety net that the FCAs new rules in September will bring. However, the issue of credit card debt continues against all the talk of impending regulation. It is difficult to say what approach is correct, but it is easier to state that this is an issue that is unlikely to get better anytime soon. With similar problems in the U.S., it is difficult not to make the assumption that this crisis is, simply, a natural partner of the ‘age of austerity’ within which we currently reside. It is tempting to suggest that people have a certain lifestyle in mind and have been forced into credit cycles to maintain that standard of living, but that is arguably not the case. Whilst it is positive that payday lending has been reduced since caps were put in place and the lenders came directly into regulatory focus, it is likely that people have simply moved into a different form of credit; companies such as Vanquis allow for consumers to access credit when, in reality, they would struggle to do so from high-street lenders (in theory, at least). Ultimately it is difficult to pinpoint why the crisis is worsening, not through a lack of understanding but because there are so many factors at play. The FCA’s proposed rules are positive, in a sense, but the ‘catch-point’ being at 18 months or longer means that significant debt could still be accrued by those unable to pay it – there is still plenty of scope for this crisis to worsen.